These portable tanks have been used on farms, in agricultural areas, shops, industrial facilities, and construction sites. The mobile diesel fuel tanks have also been used as an emergency fuel storage tank for supplying generators, vehicles, and other machinery in emergency periods. These mobile fuel tanks have been utilized for portable applications and are available in 500 and 1,000 gallon (1,893 and 3,785 liter) units. Trailers are available in both non-DOT and DOT-approved models, so they can conform to multiple situations and projects. This selection is designed to help provide customers with their exact combustible liquid storage needs and requirements. Additionally, the mobile storage tank can be built with either a single wall or double wall design . Double wall tanks offer extra strength and durability for more demanding conditions. All fuel transportation tanks are built to UL-142 (Underwriter Laboratory) specifications. For additional information on the fuel transfer tank, view our Mobile Storage Tank PDF Flyer. Questions about mobile fuel tanks? Contact the GEI Works team for additional information at 1-772-646-0597 or request a quote. 146" x 81" x 70" 172" x 81" x 88" 150" x 81" x 77" 178" x 85" x 90"
7,000 lbs. 12,000 lbs. 7,000 lbs. 12,000 lbs. Two 3,500-lb. Two 6,000-lb. Two 3,500-lb. Two 6,000-lb. 1,060 lbs. 2,565 lbs. 1,878 lbs. 3,200 lbs. These mobile fuel tanks are the perfect way to transport fuel around construction sites and farming areas for fast re-fueling of equipment and other power devices in addition to combustible liquid storage for future use. Tank and trailer combinations can be hooked up to the back of pickup trucks and other vehicles for transportation around your location. 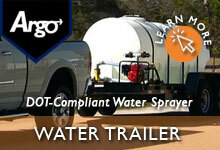 Questions about a mobile storage tank? Contact the GEI Works team for additional information at 1-772-646-0597 or request a quote.